Car Wreckers Adelaide Buys Trucks! Get your truck of any make and condition sold to us for up to $9,999 cash. When selling your truck of any make and condition make it a priority to call Car Wreckers Adelaide. We are Wreckers in Adelaide SA, that pay top cash for trucks of any make and condition. We know that selling a truck is typically complicated and costly. The worst condition of the truck, the more the owners tend to procrastinate. With Car Wreckers Adelaide, there is no reason to procrastinate. We are truck buyers that allow truck owners ease when selling their trucks. You won’t be running in circles wondering how to sell a truck; we offer the easiest way to sell your truck and the peace of mind that they sell is a legitimate sale. 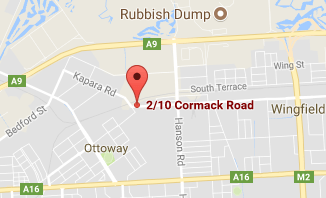 Get up to $9,999 cash at Car Wreckers Adelaide for the truck of any make and condition. Truck Owners Selling Their Trucks & Getting Top Cash Up to $9,999! Selling a truck to wreckers can be time-consuming and confusing. You may not know what to expect in value for your truck, or you may not know how to negotiate for a price or the services that allow you convenience when selling the truck. With Car Wreckers Adelaide SA, we make the process of selling a truck to wreckers simple and quick. We are legitimate wreckers Adelaide that pay cash for wrecked cars and provide courtesy removals and wrecking. We are a legitimate buyer & wrecker of Trucks of every make and condition, offering our customers our knowledge and a fair price offer when we buy trucks. Car Wreckers Adelaide doesn’t require that you spend hours trying to get a fair deal from us. 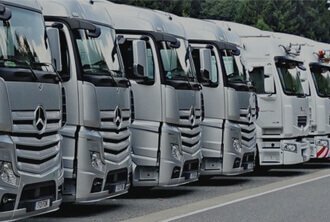 We quickly take all factors of the truck into consideration and make our best offer with no pressure to accept our quote. Truck owners, get your truck sold for top cash and removed & wrecked for free with Car Wreckers Adelaide. We buy trucks over the phone or online. Call us at 0477 413 136, or fill out our Get a Quote form at the top right of this page. We come to you to remove your truck at no cost to our Adelaide customers. Wrecked, accident, old, and damaged trucks are wrecked for free.